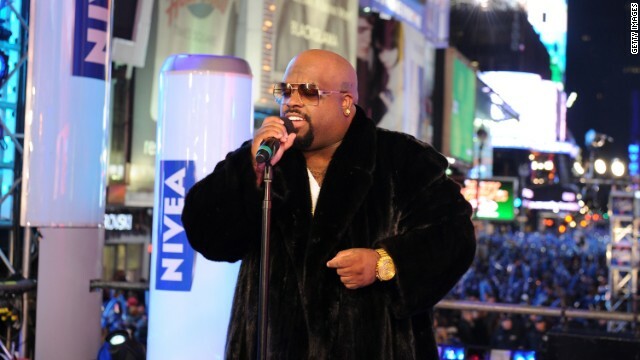 Cee Lo Green performing in Times Square on New Year’s Eve. New Year’s Eve is usually truce time in the culture wars — a moment to reflect and hope and forget your troubles (and the world’s). Not so on Saturday night, when Cee Lo Green changed the lyrics to John Lennon’s “Imagine” while performing the song on live television in New York’s Time Square. This change has performed something of a minor miracle: bringing atheists and evangelicals together in common cause. Atheists are outraged that Green is messing with what they see as an anthem for their cause, while evangelicals object to his view that all religions are true. Green has also infuriated Beatles believers, who see tampering with any Lennon lyrics as tantamount to rewriting the Bible. On Twitter, more than one Beatles fan has quoted Cee Lo Green back to himself: “Forget you” (or worse). Pop stars routinely tweak lyrics here and there (sometimes because they forget the words), but “Imagine” is nearly as iconic as Lennon and the Beatles themselves — number three on Rolling Stone’s 2004 list of the 500 Greatest Songs of All Time. Lennon never said that. In fact, he was powerfully drawn to various forms and offshoots of Hindu practice, including Transcendental Meditation. In 1968, he went to India and the following year in England he engaged in a wide-ranging conversation with the Hare Krishna leader Swami Prabhupada. But he was clearly a critic of organized religion in general, and of Christianity in particular. (Remember when he bragged that the Beatles were more famous than Jesus?) And as “Imagine” attests, he stood alongside those who saw religion as a source of lethal conflict in the world. The message of “Imagine” is simple. Here Lennon allows himself to imagine what Martin Luther King Jr. spoke of as a “beloved community” wrapping its arms around the entire planet. Three things need to go away for that to be possible: countries, religions, and possessions. So this was not some minor cut Cee Lo Green did to the song on New Year’s Eve. It was major surgery on Lennon’s “one world” vision. One final quibble, this time about “all religion’s true.” Huh? What does that even mean? If one religion says there is one god, another says there are millions of gods, and another says there are no gods, can they all be true? Perhaps in some mystical sense. But on some theological questions, at least, the logical laws of contradiction still obtain. I say let’s leave the Christ in Christmas, and for the rest of 2012, at least, let’s leave the Lennon in Lennon, too. Cee Lo must sure consume lots of toothpaste. Look at them chompers! Woah this weblog is excellent i like reading your articles. Keep up the good paintings! You recognize, lots of people are looking round for this information, you could help them greatly. Cee Lo is disgusting. If I have to see his disgusting face talking about "puzzy" one more time, I will vomit. Saw him in concert and he was awful, disgusting, revolting, offensive, ill-mannered, untalented, and a total let down. He has no business touching a Beetles song. I am a lunatic and Charles Manson is my hero! Cee-Lo's edit completely rips out the heart of the song. Getting rid of religion won't, of course, mean instant world peace but it is an important step in achieving it! I think it represents something great about this country. You can enjoy the ideas of another without giving up your beliefs. Cee-Lo is just singing from the heart. "The message of “Imagine” is simple. Here Lennon allows himself to imagine what Martin Luther King Jr. spoke of as a “beloved community” wrapping its arms around the entire planet. Three things need to go away for that to be possible: countries, religions, and possessions." To intimate that the Reverend Martin Luther King Jr. was calling for the end of religion in order to create a "beloved community" is preposterous! King was motivated by his religious conviction unlike your news agency which seems hell bent on promoting an America free of genuine religion; specifically, free of Biblical Christianity. I agree that Prothero's statement could be clearer, but I think you are misreading it. The first sentence is what Martin Luther King Jr. said. The second sentence is what Lennon imagined it to involve. 20 years from now, they'll still remember John Lennon. I doubt you will be able to say the same for Cee Lo. oh CEEE LOW... you're so black. Why do you even bother getting tattoos? The Beatles? Sounds like a bunch of drug using hippies to me... no sir I don't like 'em.